Bookstore owner Samantha Washington sells and solves mysteries in North Harbor, Michigan—including the murder of her mother's wedding planner . . .
Sam's mother can't wait to wed her wealthy beau, Harold Robertson. The big mystery is how they're going to pull off a lavish wedding in three weeks. Harold's snobby sister-in-law proposes a solution: engage flamboyant wedding planner Lydia Lighthouse. But their beacon of hope quickly sends everyone into a blind rage, most of all the groom-to-be. So when the maddening micromanager is strangled with her own scarf, it's a shock, but not a surprise. It’s a case of art imitating life as Sam pens her next historical mystery set in England between the wars. Lady Daphne Marsh insists on marrying Lord James Browning on Christmas Eve, three weeks hence. But when the fop planning their wedding ends up with a knife in his back, she vows to nab the backstabber before she walks down the aisle. 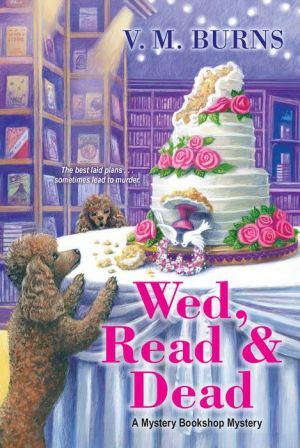 Meanwhile, when she’s not writing, Sam and her beloved and boisterous Nana Jo rush to shine a light on Lydia's killer—so her mother's new husband won't spend his honeymoon behind bars . . .